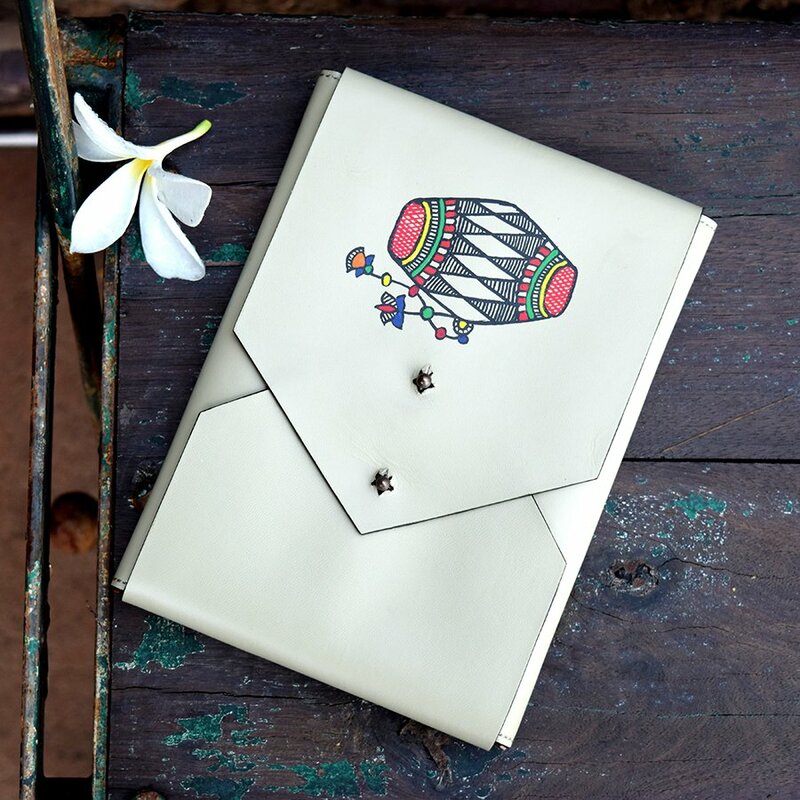 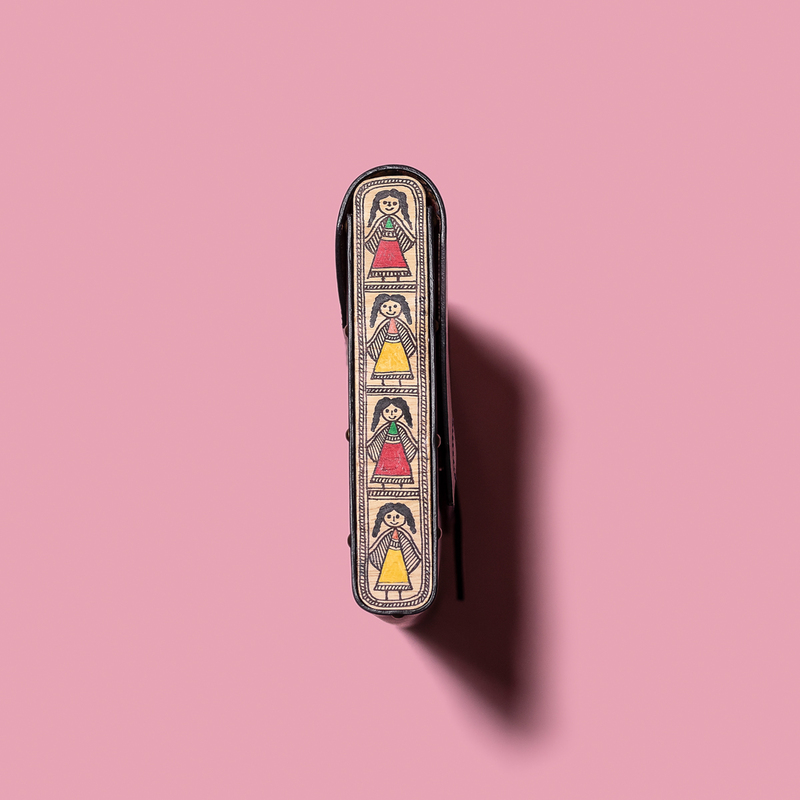 A structured handheld clutch, handcrafted in buff harness leather with contrast leather detailing on top and wood on the sides adorned with Madhubani art. 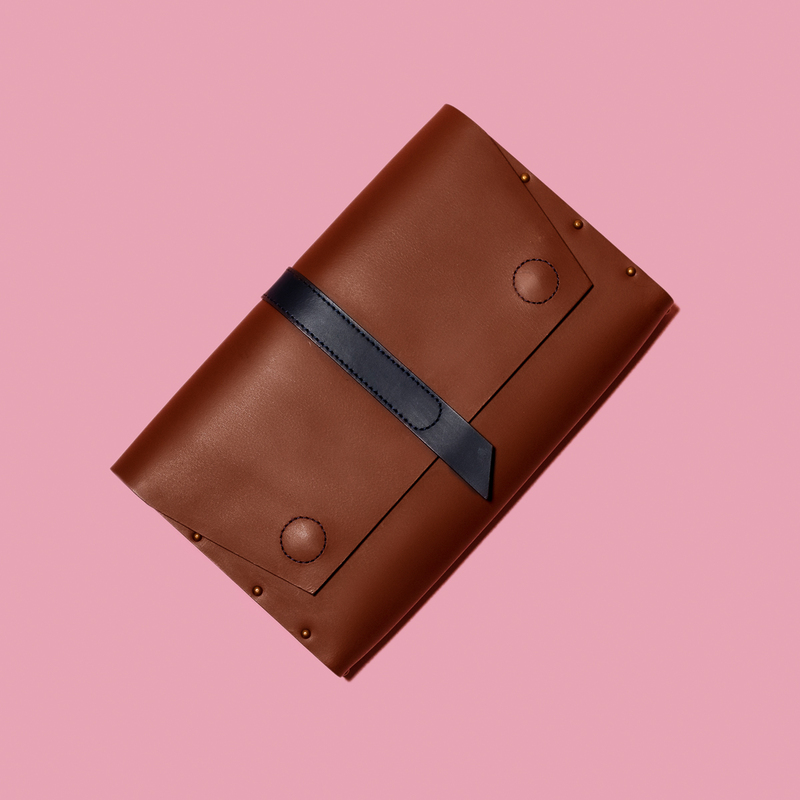 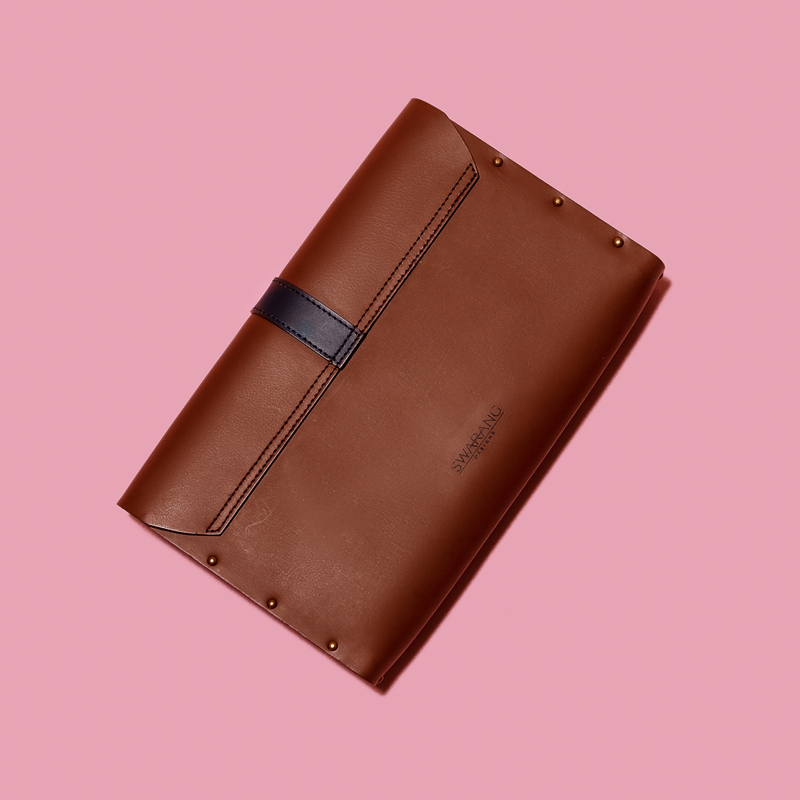 The insides of the bag consist of one single compartment with a slip in zip pocket at one side and magnetic closure on the flap. 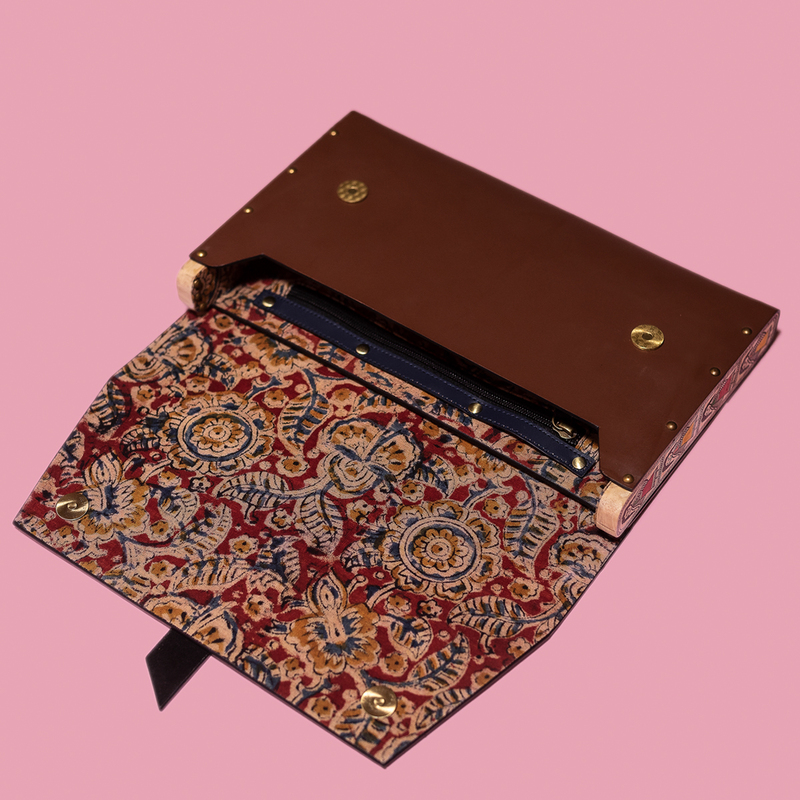 Please note, as we use upcycled linings for our bags, every piece is bound to have different prints on the inside. 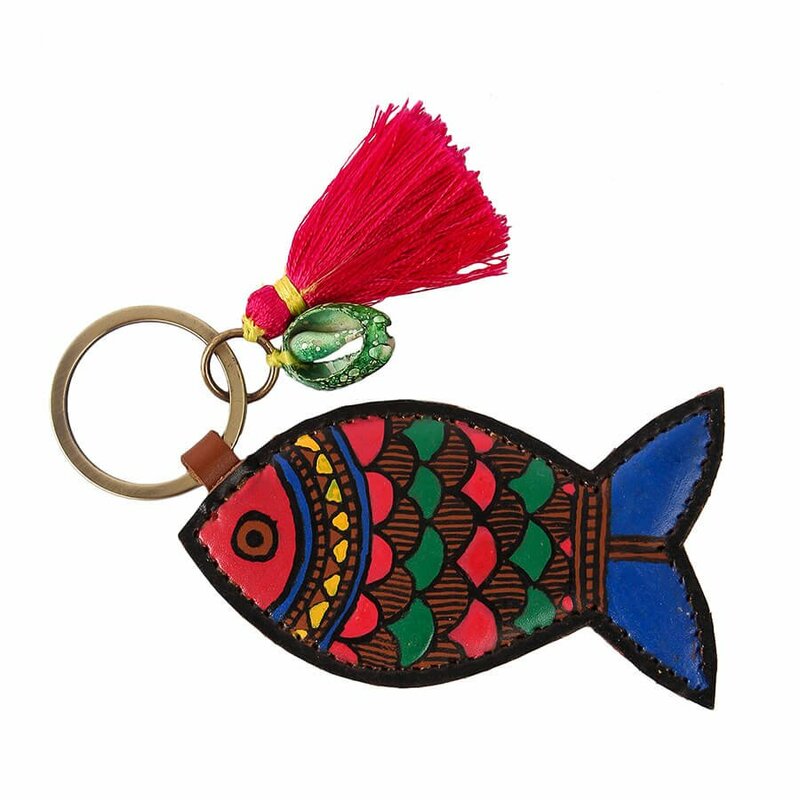 We ensure that the prints/colors compliments the leather color in order to maintain the aesthetics of the product.